What should be the minimum age for someone entering the sport? Kiteboarding is getting easier then ever before with improvements in equipment and teaching methods. 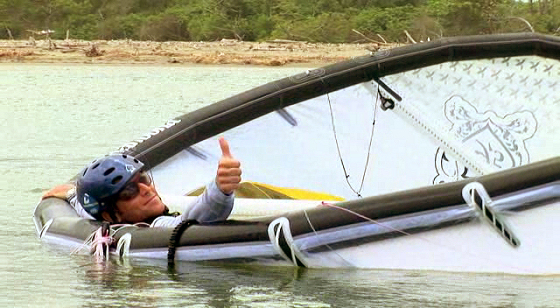 IKO releases its Online Kiteboarder Education program. IKO has the largest and most in depth program of this type available for kiteboarders. This document includes; safety systems, using a kite leash, flyovers, danger of board leashes, right of way rules and more. Knowing the correct terminology gives a kite-boarder the ability to describe his situation and allows for better communication of ideas and information. Here is a quick list of Kite terms for you. Edge of window – the edge of the wind window with the least power. Inside lines – the lines that go from the middle of the bar to the front of the kite. Trim line – the thick sliding line through the center of the bar.